Stuart MacBride is a favorite of Auntie M’s. She recently had the good fortune to catch up on two new releases. 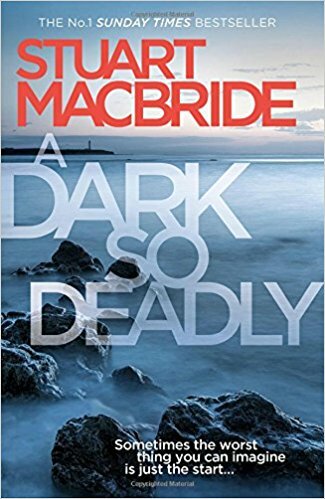 First up is A Dark So Deadly, featuring DC Callum MacGregor, who complains he gets all the boring cases. His team is made up of misfits, but when an ancient mummy turns up in a landfull site, his job is to find which museum it’s been stolen from. But things heat up and a chance to redeem themselves occurs when Callum finds a link between the mummy and three missing men. The Misfit Mob is handed the assignment, and although the higher-ups doubt they will succeed–well, that would spoil all the fun if Auntie M told you it all, now, wouldn’t it? Callum’s big brother Alastair, a washed-up celebrity, gets thrown into the mix and adds to the delightful read. A new character written with MacBride’s trademark humor, making this a strong read. We can hope we see more of Callum and his friends. 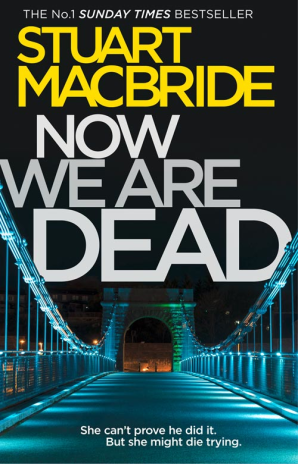 With Now We Are Dead, MacBride centers on one of the most imaginative characters he’s created, Logan MacRae’s thorn in his side, DCI Roberta Steel, that not-so-paragon of virtue who has been caught during In the Cold Dark Ground setting up a defendant, despite his badness and more than deserving prison actions. You don’t have to read the previous book to get this one, although you should read the entire series, but in this one Roberta takes on center stage. With his trademark humor, MacBride gets down and dirty with Roberta. Demoted and given DC Stewart Quirrel to keep her company, Roberta and Tufty, as he’s known, start off following a pack of shoplifters. Jack Wallace, the creep Roberta was caught fitting up to get a solid conviction, is back on the streets. With women being attacked again, she’s certain it’s Wallace up to his old tricks. But there are the solid alibis he’s manufactured for himself, complete with CCTV coverage, plus the similarity to his MO, leaving Roberta to think he’s schooled assistants to replicate his attacks. But when Wallace and his cronies decide to go after Roberta’s wife and two daughters, it’s no-holds-barred in one of the most action-packed and fitting climaxes MacBride could have written. Makes Auntie M’s heart sing just to think about it again. Don’t miss this one, either. Just get the whole darn series. Highly recommended. February marks the 200th anniversary of Mary Wollstonecroft Shelley’s Frankenstein: Or, Modern Prometheus. 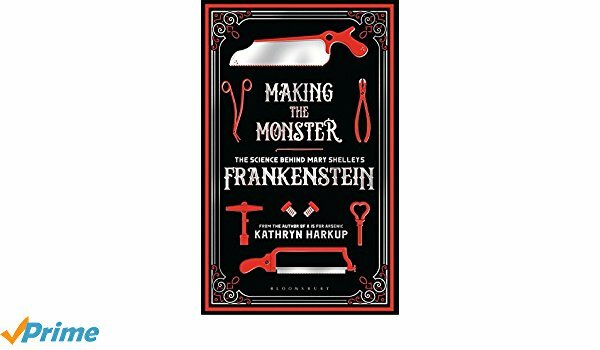 Kathryn Markup has done a wonderful job of researching the origins of the story in Making the Monster: The Science Behind Mary Shelley’s Frankenstein. Auntie M already owned Markup’s book A is for Arsenic: The Poisons of Agatha Christie, so she knew she was in for a treat when asked to review this book. How could a 19-yr-old woman with no formal education imagine what would be deemed the first science fiction novel, combined with gothic fiction, into an extraordinary novel? Markup examines what was happening in Mary’s world at the time leading up to the writing and when the story was finished in 1818. Exploration of distant lands is a theme in Frankenstein, spurred by Walton’s expedition to the North Pole. At the same time, scientific ideas and experiments centered on a fascination with electrical phenomena, resulting in galvanism, the use of electricy to stimulate muscles. America and its slave trade were deplored by the Shelleys, and the idea of people who look different from the majority being treated horribly probably had its roots here. There had also been sensational demonstrations using the corpses of hung criminals to show electricity had the power to reanimate the dead by making their muscles jump. Mary’s use of Prometheus as a subtitle illustrates the classical mythology she had been taught in her own home schooling. These are just some of the contributing factors to the final story. Ghost stories were a popular form of entertainment, too, and the summer of 1816 saw Mary, husband Shelley, Lord Byron and others escaping a cholera epidemic on the shore of Lake Geneva. At Villa Diodati, Byron’s challenge to write a ghost story led to Mary’s amalgamation of the monster, especially after Bryon read aloud from Coleridge’s unfinished supernatural horror poem, Christabel. Also present was John William Polidori, a young doctor with literary aspirations, whou would take Byron’s unfinished tale of his own monster and write of an aristocratic vampire. Thus that summer saw the dawn of two enduring gothic figures. With meticulous detail, Markup explores Mary’s family history, too, and that of Shelley and their time together, leading to Shelley’s drowning death. The rest of her life became centered on the plays that were drawn from Frankenstein, and on her future writings, which while poplular, made her famous but did not increase her wealth substantially. Indeed, she never met her father-in-law, as Shelley’s father did not approve of their union. Still, Mary must be admired for having the wits and courage to write such a story at a time when women were not given the status they are now. The Gathering Dark is the eighth Inspector McLean novel in James Oswald’s series, one of Auntie M’s favorites, with another strong entry in the series that does not disappoint. 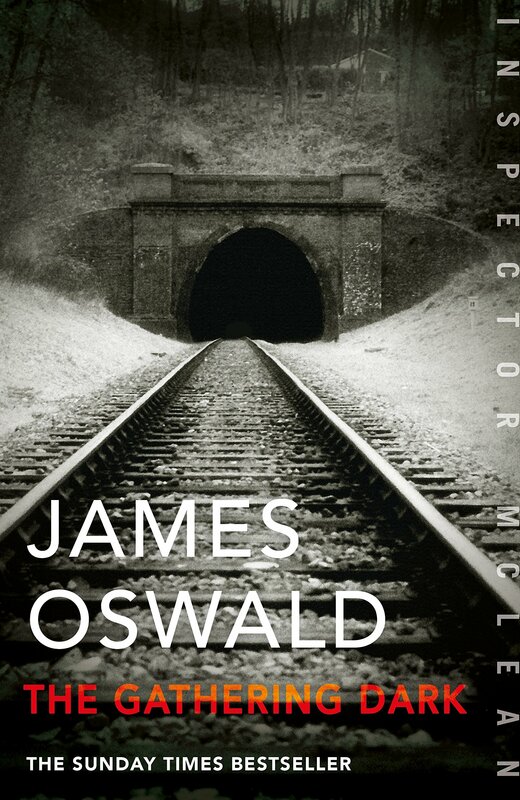 The UK’s The Guardian says about the author: “Oswald easily outstrips the formulaic work of bigger names,” with good reason. If Oswald isn’t on your reading list yet, he should be. DI Tony McLean happens to be on scene at the junction of the Lothian Road and the Western Approach Road when a truck traveling far too fast jacknifes and overturns, the cab smashing into a crowded bus stop, bodies falling, people screaming and running as the trailer falls and splits open, spilling thousands of gallons of some kind of toxic chemical onto the street and over pedestrians. The noxious chemicals give McLean a headache he’ll have for days, and his suit is ruined after he plunges in to help triage the victims. The carnage is profuse and the end result is 20 dead, including the driver, and another 50 injured. Heading the investigation, McLean brings home the toxic fumes to Emma, the forensic specialist he lives with who is carrying their baby. A second suit will be ruined and in the garbage as the investigation continues, throwing up all sorts of questions and secrets as the dead need to be identified. There are several businesses in the chain of the removal trailer to be investigated, which was supposed to be carrying nontoxic digestate, which is indeed found in several of the trailer’s compartments, but the rest had been filled with the toxic substance that clings to McLean’s senses. 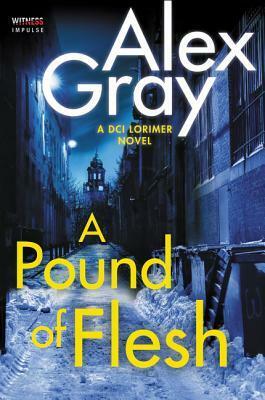 The complex plot twists and turns around the investigation, with tangents running in several directions and McLean keeping his finger involved in all of them. With a sparse team to help him, and discretion needed, he even will call in an old foe to assist him when the Chief Superintendent’s son goes missing and was last seen near the crash site. Could he be one of the unidentified bodies? 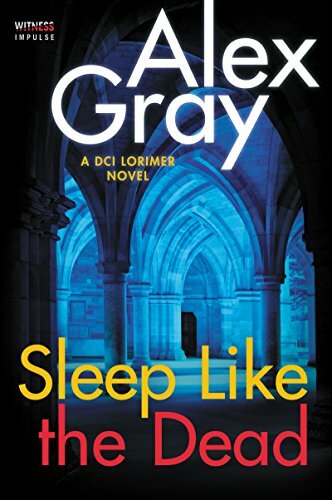 Able to twine McLean’s personal life into the fabric of his investigations, the detective will soon learn the not everything is as it seems, and that decades-old secrets are a small part of the big picture. With his trademark curve of the supernatural making its appearance, this is pure Oswald at the height of his game. Highly recommended. 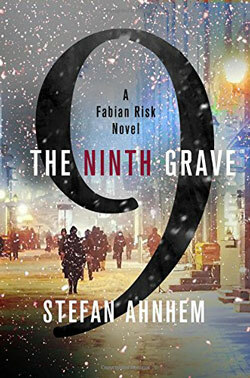 Stefan Ahnhem’s second Fabian Risk thriller, The Ninth Grave, follows the Sweish detective on his newest perplexing case. It’s a cold winter eveing when the Swedish minister of justice apparently disappears between the Parlliament ouse and his car. It will turn out that the same evening, the wife of a famous Danish TV star is murdered in a brutal way at her home. While Fabian takes apart the Minister’s movements in Sweden, his counterpart, Danish detective Dunja Hougaard races to find the killer on the loose in her country, even as she fights rampant sexual harassment on the job. There’s a moral dilemna at the heart of the murders, one that Fabian will come to understand even as he hunts the killer. With his pregnant partner in jeopardy, the suspense is particularly high as the twists continue to pile up. Ahnhem’s screenwriting background is apparent in the way he manages to bring the landscape and his characters to life. 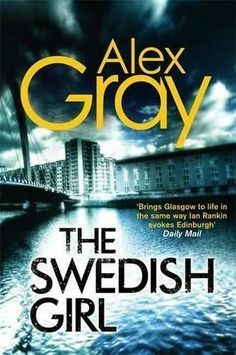 A great installment of Scandanavian noir. 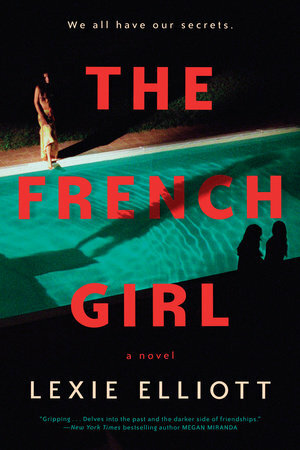 Lexie Elliott’s debut, The French Girl, is a strong entry in the psychological suspense category. A decade after six Oxford friends spend time in a farmhouse in the French countryside, the week comes back to haunt them in a way that no vacation should. Kate Channing narrates the story of the week she and her boyfriend, Seb, and four others left London for a carefree summer escape. Tensions between several of the friends escalate by the end of the week, added to by girl living next door, who uses the pool at their house with the owner’s permission. Severine is mysterious, lithe and beautiful and knows her power over men. When she disappears just as the group is leaving, it’s a horrid ending to a week that’s been ruined by revelations inside the group that broke up Kate and Seb. Now years later Severine’s body has been found in a well at the farmhouse next door, and the primary suspects are Kate and her band of friends. As a persistent French detective interrogates the friends, alliances shift and reform, exposing old secrets and complications. Misunderstandings surface; old opportunities are exposed and rued. When it’s recommended that Kate hire her own lawyer, the tension rapidly escalates and as Kate’s memories of that last evening start to coalesce, she fancies that she sees Severine watching her try to figure out what really happened to the French Girl. A captivating read that will leave readers asking how well they really know people they call their friends. Best? Connecting with readers. Back when I wrote for kids I got a letter that said, “I didn’t like to read until I read your book.” I could have stopped writing right then and still come out ahead. There’s simply nothing better than having a reader tell you they like what you do. The worst is probably struggling with a manuscript and falling into the abyss of self-doubt. “I can’t write a mystery! Nobody thinks I can do this. It’s hopeless. I’M hopeless. Wah.” But then I usually remember that I’ve done it before and can probably do it again. 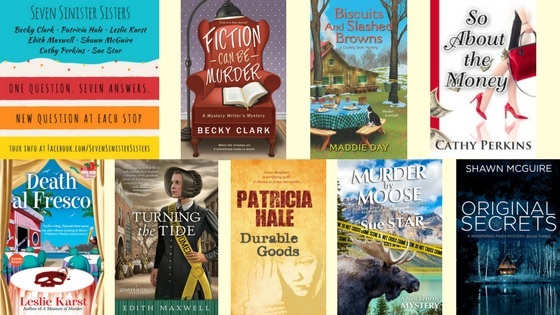 And while Becky values connecting with readers, it’s fellow writers that give Leslie Karst a boost. By far the best part of being an author has been the relationships I’ve established with other mystery writers, for they are the most generous, helpful, warm, and supportive people I’ve ever encountered. As for the downside, I’ll quote my law professor father: “There are only two times I’m miserable—when I’m writing and when I’m not writing.” Because when you’re in the middle of a book, you’re nervous about getting it right and angsting that you should be working on it whenever you’re not. But when you’re not in the middle of a book, you feel as if there’s something deeply missing from your life. Ahhh… the dreaded MIDDLE. Edith Maxwell gives us her insight on keeping things moving. The best is when I’m typing away and a character does something I had not planned. I don’t know why she did it, and, like the reader, I have to keep going to see what happens next. Those are the magical moments of writing. For me the worst part is the big sloppy middle of a book. It’s so hard to stretch my arms around the first thirty thousand words or so. It’s hard to keep all of it in my mind, even with my handy scene synopsis cards in Scrivener. But I have to, and I have to make the action move forward without boring either me or the reader, until we get to the exciting last ten thousand words of the story. But, as I now know having finished eighteen novels, if I keep pushing, I’ll get there! And ya can’t fix what ya haven’t written. LACK OF TIME. But according to Sue Star, time is both the best and the worst. Tough question, because the answer is the same for best and worst: time. Being a writer is all playtime. I get to spend my time making up stories to myself, stories that I want to read and maybe can’t find in bookstores. I get to build worlds and create people, playing god, and I get to vent my frustrations with the real world in a humorous way. The consequence of all this fun ultimately leads to the “worst” thing: sacrificing real time with the family while writing to deadline. It’s a tough balance! The balancing act continues with Shawn McGuire’s inability to unplug. The best is that I get to go to wonderful places in my head and hang out with people I wouldn’t otherwise encounter in daily life. I get to go on wonderful adventures and pretend to be someone I’m not. The worst thing is that I sometimes feel like I’m always working. Even when I’m not at my computer, plot points are flowing through my head, the characters are talking to me, and new books are asking for attention. I guess I prefer that to writer’s block, but it’s good to unplug, as I’m always telling my husband to do! Cathy Perkins battles time, but loves the process. I love the entire writing process, but if I have to pick one element, it’s developing the characters. You often hear authors say they don’t like plotting, but I enjoy putting the puzzle pieces together, making sure the plot holds together and that all the characters (including the villains!) have a good motive for whatever they’re doing. I love twisty mysteries where so many people, I mean characters, have a motive for the crime. Adding layers of complexity to the characters really draws me into the story. Worst part? Beyond promo (shudder): it’s time. There’s never enough! I try to write in the morning (at an obscenely early hour) before the day job kicks into high gear. Shudder at promo? More like shake, rattle and roll for Patricia Hale. The best? No question, spending long, quiet hours alone doing what I love. Finding my way into “the zone” and losing all track of time. When I’m writing, I’m most content with myself and nothing is as fulfilling as a successful day at the computer. The worst? Promotion. I have a hard time “selling myself”. I could never make a living in sales. At my first signing a woman was going to buy one of my books for herself and one for her mother. I suggested they just share one. A friend reminded me that I was supposed to be “selling” my work. See what I mean? For me, promoting and selling myself is like traveling to a country where I don’t speak the language. Enter to win by leaving a comment below. Our tour runs from January 6th to April 30th and we’re answering a different question at each blog. Leave a comment at each blog for more entries! We’ll draw the winner from all the combined comments at the end of our tour. Watch our Facebook page for the next stop on the tour. 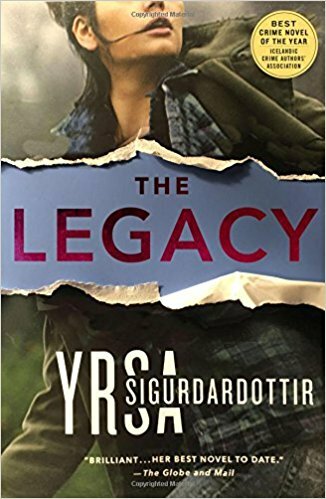 The Queen of Icelandic Noir debuts a thrilling new series with The Legacy, introducing detective Huldar and psychologist Freyja. 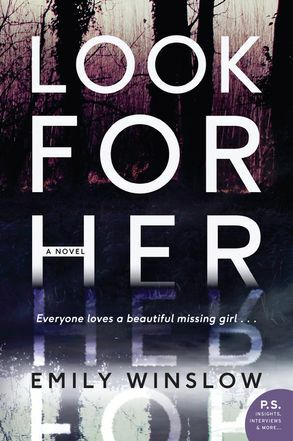 The two share an uncomfortable event before being assigned to a case that’s fraught with misery: A woman is horrifically murdered in her own home, and the only witness is her seven-year-old daughter, who hid under her mother’s bed during the killing. Using Freyja’s talents with the child, Huldar must test his new promotion to its limits as he tries to make sense of the unusual murder method. Pushing young Margaret has produced little effect, but once it’s known she was a witness, her life becomes in danger and Freyja ends up taking her into her home for safety when the killings continue. But is that really a safe environment? And how can Hildar figure out why the seemingly unrelated victims are related to the killer, who seems aware of forensic concerns? A complicated thread of evidence with short-wave radios and a series of numbers that impact the investigation provide an unusual subplot that adds to the horrid murder methods the killer uses. It will take all of Huldar’s smarts and savviness to figure out what Margaret has obliquely told him. 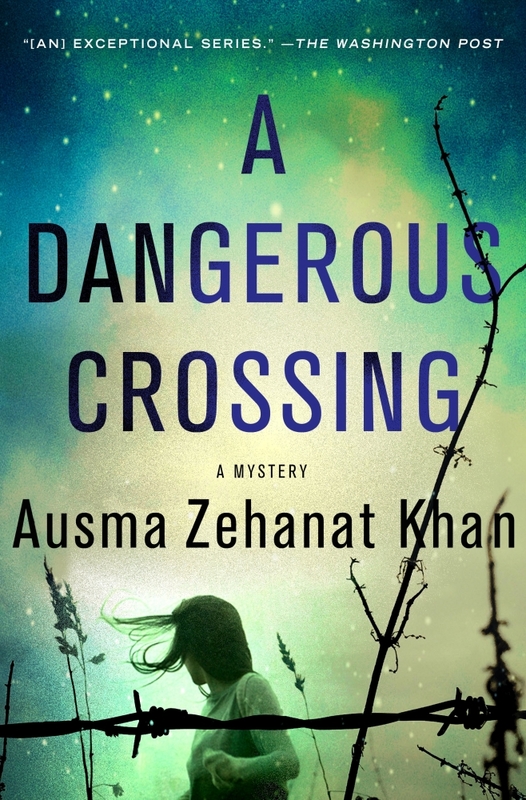 Named Best Crime Novel of the Year in Iceland, this is one Auntie M dares you to figure out until the end. Highly recommended.